But not for the likes of us antipodeans just yet ... this is the Blu Ray Player that matches the AVPA1 Pre and Power and is the multiformat device that will properly supercede the DVDA1 DVD Player. To be released in overseas markets in the first quarter of this year, the DVDA1_UDC1 will play back high-quality Blu-ray Disc videos in HD resolution including 1080p and DVD video images, as well as two-channel and multichannel music from CDs, DVD-Audio and SACD discs. "Multichannel signals will be output over the player’s dual HDMI outputs, as well as over 7.1-channel audio jacks. In addition, the player offers the option of outputting SACD signals natively in DSD format over a new proprietary Denon Link 4 HDMI connection for decoding by a compatible Denon pre-amp or receiver. Alternatively, the multichannel signals can be transcoded to PCM with full bass management over HDMI, as Sony’s PlayStation3 unit does now. The fourth edition of the Denon Link HDMI connection adds a new “Denon Flow Control” feature, which takes over the master clock and jitter control in Denon’s current flagship pre-amp and upcoming Denon A/V receivers. Denon is positioning the component as the third piece in its flagship home-entertainment system that also includes the AVP-A1HDCI A/V preamplifier and the POA-A1HDCI 10-channel power amplifier. The latter two began shipping last February. 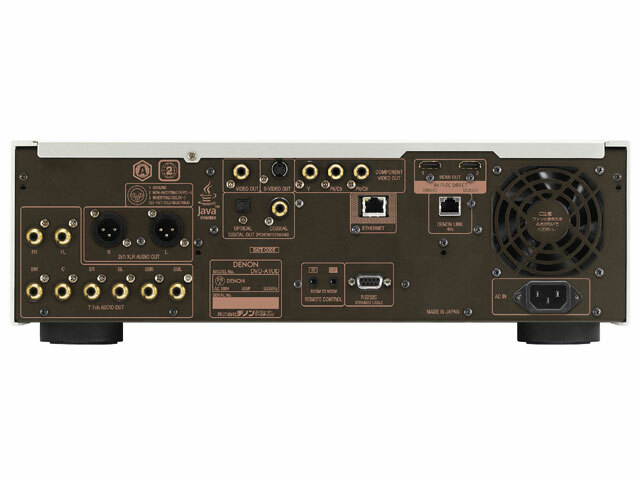 All can be connected and interoperated via the aforementioned Denon Link 4 HDMI transmission technology. The Denon Link 4 system will be backward compatible with earlier Denon Link components, but will be limited to the capabilities of those earlier models, the company said. Denon Link 4 is based on the HDMI-CEC standard and should also be compatible with most other HDMI-CEC enabled devices. Denon said it plans to announce a firmware update for the AVP-A1HDCI and AVR-5308CI models to support the Denon Link 4 system shortly. 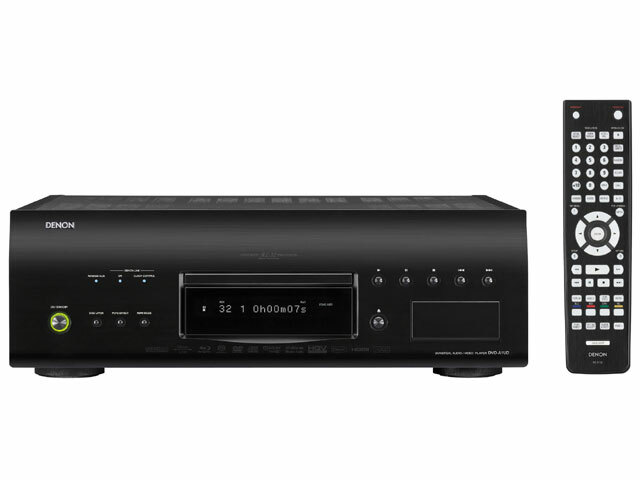 The DVD-A1UCDI will also be Denon’s first “BD-Live ready” player, meaning that it will have the full Blu-ray Profile 2.0 feature specifications following a firmware update. Denon said it plans to make that update available over an Ethernet connection shortly after the player hits the market. The player will have 1GB of built-in memory to support the BD-Live functionality with no additional memory required; however, it will also include a built-in SD card slot for any additional memory that may be desired and to play digital music and photo files. For internal video processing, the DVD-A1UDCI includes Silicon Optix’s 10-bit Realta HQV chipset with up-conversion and IP scaling via HDMI to 1080p. In addition, Denon’s Pixel Image Correction (DPIC), which is an original Denon video-enhancement technology for correcting high-definition images, uses 10-bit processing to further improve detection and precision in the curvature correction of images, the company said. Denon said this will enable detection and processing of the image at the pixel level in the vertical, horizontal and diagonal direction, and is applied to standard images from DVD as well as HD images from Blu-ray discs. 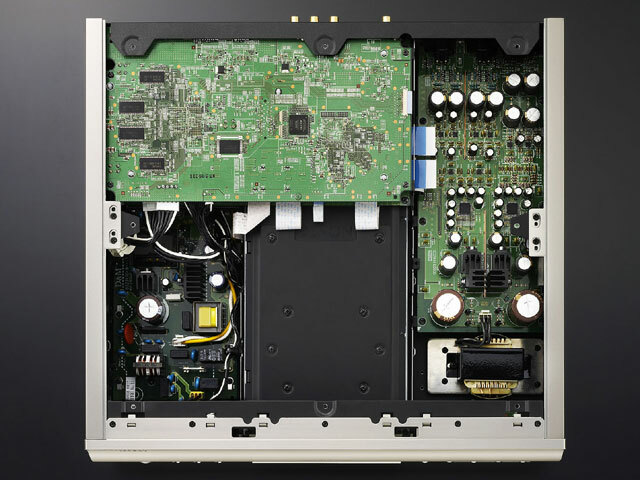 In addition, the player is equipped with a 14-bit Analog Devices digital-to-analog video converter. For audio, the DVD-A1UDCI includes Advanced AL32 processing that will allow digital upsampling of 16-bit and 24-bit signals to 32 bits. The player offers full onboard HD Audio decoding from the DDSC-HD circuitry, and will allow for bit stream bypass to HDMI for Dolby Digital Plus, Dolby TrueHD and DTS-HD High Resolution Audio, and DTS-HD Master Audio digital transmission to the AVR/AVP for decoding. The player uses a solid direct mechanical ground construction to "virtually eliminate vibration," the company said. The unit’s structure was designed with a low center of gravity for maximum vibration resistance and quiet operation. The cabinet is composed of a heavy-duty, dual-layer, steel top cover; clamper cover; zinc die-cast mechanism case; newly developed floating dampers; and a thin aluminum die-cast tray. The power transformer is placed near the ground and immediately above the insulators to allow direct release to the ground and thoroughly prevent the propagation of unwanted vibration or noise. The 7.1-channel analog output contacts are made of gold-plated brass. The onboard Ethernet port allows for Internet connectivity, for firmware updates, BD Live interactivity and IP control. The dual HDMI outputs are fully assignable to allow sending separate audio and video streams to two separate systems or running a program’s HDMI audio signal to a processor while the video is sent to a projector. As with all Denon CI products, third-party control systems can be managed via the RS-232C port. The HDMI 1.3a connection will also support Deep Color signal sources. Denon said it will make the DVD-A1UDCI available to authorized Denon CI dealers along with the matching flag-ship pre-amp and 10-channel amp. Joe Stinziano, Denon sales and marketing senior VP, said the company hopes that as users become aware of the additional benefits of multichannel sound from the advanced codecs offered in the Blu-ray Disc format, they will begin to seek out the multichannel music discs that are still available. In addition, a lot of the target customers for the player are expected to already have DVD-Audio and SACD music libraries and will use the new player to update and consolidate older DVD-Audio and SACD equipment with a unit offering Blu-ray compatibility."